MOVE IN READY. 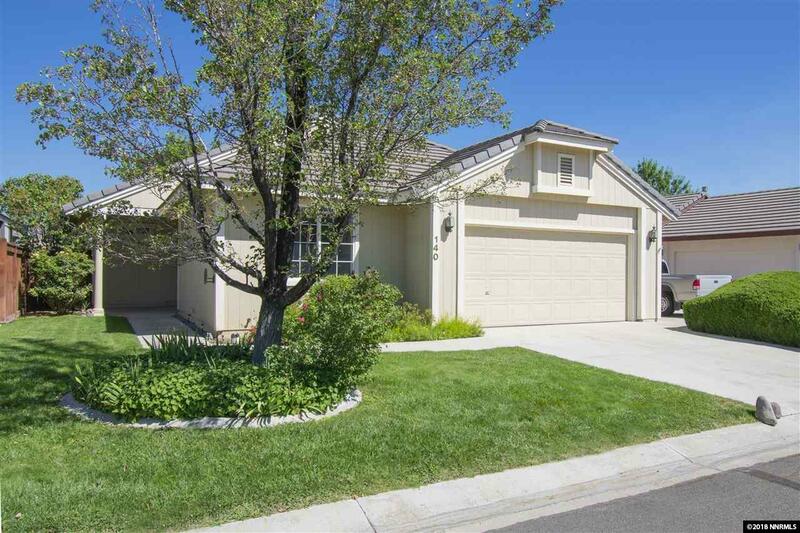 Gorgeous neighborhood with beautiful views from this Dayton Valley Golf Course home. This comfortable and quiet home has a large 1873 sq. ft., split floor plan and it backs the 3rd fairway with amazing views. This home features a large living area with a gas fireplace for quick heat on those cold days. Large master suite with double sinks and a walk-in closet. There is plenty of space in this wonderful home.